Preschool Teaching Job in China ! 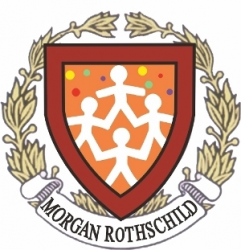 Morgan Rothschild Academy is a quality early childhood program in China, enrolling international students aged 2-6. We are located in the suburb of Shanghai. Our Academy is managed by a Harvard-educated director. We are looking for someone with creative energy to team-teach in our classrooms. Teacher will work with two other Chinese teachers to provide a nurturing, developmentally appropriate and child-centered program that emphasizes the social and emotional development of each child. Experience in a preschool is a plus. Due to visa restrictions we can only accept applications from native English-speaking countries. Free two bedroom apartment to be shared with fellow English teachers or USD$ 500 monthly housing allowance. For those interested in the position, please send your resume/ c.v. to us at morganchina@morganrothschild.com. This job posting is valid till vacancy is filled.